If your business doesn't have a social media presence, you're behind the curve. The free marketing, customer service and brand-building capabilities social media offers make it a no-brainer for entrepreneurs. With so many options, where should a business start? Andrew Schrage, co-owner of Money Crashers Personal Finance, told WashingtonPost.com that Facebook and Twitter are important pillars of your social media strategy. But an up-and-coming platform may end up more decisive than both of those prodigious sites. When Google announced it would launch a social network in 2011, Google+ was seen as a direct assault on both Facebook and Twitter. Google+ has already surpassed Twitter as the second-largest social networking site and, according to Marketingland.com, Google+ will surpass Facebook's social sharing by 2016. 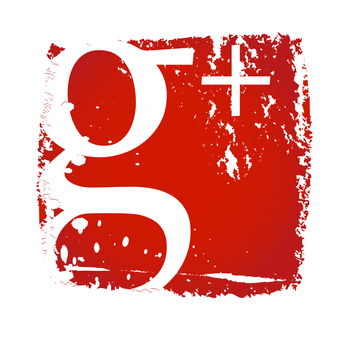 Simply put: Google+ may hold the most potential for businesses. Learn how to build your brand in Google+, and your business will benefit down the road. Google's search engine gives weight to posts with more authority. With Author Rank, Google+ aims to give similar weight to posts based on Google+ profiles. In the Author Rank system, users can build rank and authority based on their previous online content. If your business consistently delivers sharable content, Google will rank your content higher. That means more clicks, better brand awareness and free earned media for your company. Once you create a Google+ profile, Google Authorship is simple. Google suggests authors have a Google+ profile with a recognizable headshot and a consistent name. Verify your email and after about two weeks, Google will approve your Authorship. While some businesses only see social networks in terms of followers, likes and shares, companies on Google+ won't be able to get away with sharing content that isn't relevant. Google+ Circles maintains natural order by limiting the amount of advertising users can sling within groups. Instead, these networks foster legitimate discussions and, in turn, authentic relationships. These thoughtful interactions take time, which limits business owners, so efficiency is key. Focus on connections with local businesses and key players in your industry. For example, digital search agency iAcquire operates in a fast-evolving space, so it connects SearchEngineLand, Digital Relevance and Google-guru Matt Cutts to stay up to date on industry news. When you visit iAcquire on G+, you also notice a heavy dose of multimedia content, including videos, slideshows and infographics. This commitment to quality content will translate to better brand awareness and increased authority. With new features rolling out all the time (Google+ introduced a dashboard to unify Google apps last months), this rising social network should be settled in to its identity a year from now. Until then, businesses are hopping on board because they know what's at stake. Google runs the world online. As businesses have caught on to the importance of SEO, social and other online functions, Google's prominence is even more clear. Savvy businesses know that the more they align will Google's view of the world, the better off they their bottom lines will be. Get going on Google+ and your business can take another step toward success.